There have been many documentaries made over the past couple of years about the state of education in the United States. Few portray it in a positive light, and any educational system that is successful is considered an exception to the rule. 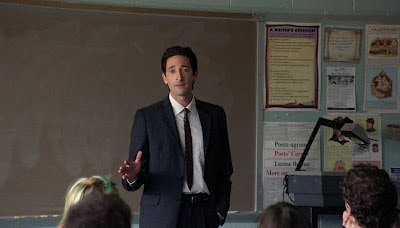 Tony Kaye’s new film trades real-life statistics for a fictional narrative, dramatizing the lack of energy and passion put into teaching through the story of an unconventional substitute teacher and the students and faculty with whom he interacts in his latest job. “Detachment” is an appropriately-named, harrowing, and timely argument for the importance of caring and commitment in the field of education. Kaye, whose previous credits include the powerful racial drama “American History X,” brings together a talented cadre of actors to make his story come alive. Adrien Brody, who previously hadn’t yet found a follow-up role as strong as his Oscar-winning part in “The Pianist,” astounds as Henry Barthes, the substitute unwilling to let those kids he teachers slip through the cracks. His techniques are honest and often surprising, yet it’s clear that he has not lost his drive, and he’s hardly a typical inspiring movie teacher. Marcia Gay Harden, James Caan, Lucy Liu, Blythe Danner, Tim Blake Nelson, William L. Petersen, Isiah Whitlock Jr., and Christina Hendricks appear as principals, teachers, and guidance counselors lost within a cyclically unproductive system. 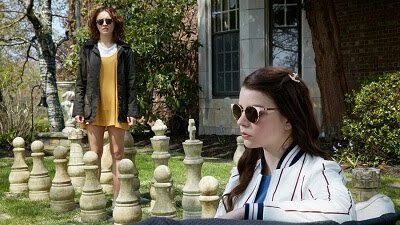 Kaye’s daughter, Betty, delivers an impressive breakthrough performance as one of Henry’s more artistic students, and Sami Gayle does a fine job as the young prostitute that serves as a perfect lost cause for Henry to save. “Detachment” is heavy-handed and dense, crafted that way so as not to sell itself short or minimize the seriousness of the situation, interspersing reflective commentary by Henry about how untenable and lamentable things are in the present. At times, the film veers into overdramatic territory, but just as in “American History X,” the emphasis succeeds in making the given scene much more heartfelt and memorable, refusing to let his audience look away and ignore its events. “Detachment” pulls no punches and forces its viewers to deal with its disturbing and unsettling content, tackling difficult issues with a harsh sincerity. Upon its heartbreaking end, “Detachment” and its themes linger. It is a difficult movie to forget, achieving greatness both as a commentary on society and as a cinematic experience. As far as “teacher movies” go, this is one of the most unusual and one of the best.